The Halloween edition of MRM’s Daily Bite features HotSchedules, NCR, Hai Hospitality, Fat Sal’s, The Original Dinerant and FAT. HotSchedules® and NCR Corporation forged a strategic integration that adds HotSchedules’ workforce management platforms to the NCR Aloha restaurant point-of-sale (POS) solution. This relationship creates a more powerful solution for restaurant operators by uniting HotSchedules’ labor management and scheduling solutions with NCR’s leading restaurant POS platform, allowing staffing and inventory management to be influenced by critical sales trend information, through analysis of historical sales trends and forecasting data. Further, product and engineering teams at both companies will regularly share product updates with the goal of continued innovation, as well as ensuring their systems work seamlessly together. 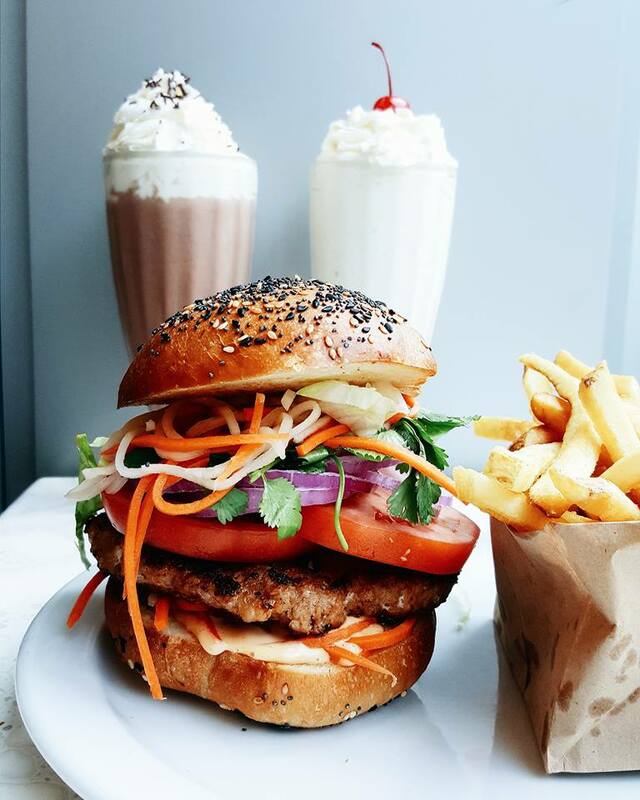 It’s important that restaurant brands align themselves with platform-based technology providers who can enable and integrate best-of-breed solutions. 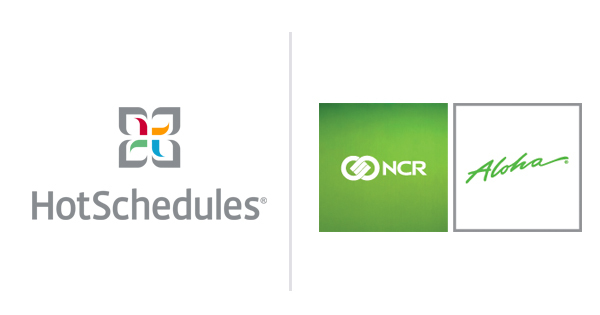 As part of this new relationship, HotSchedules can leverage NCR’s next generation cloud integration platform. Aaron Franklin of Franklin Barbecue has joined Hai Hospitality’s new project, Loro, on South Lamar as a partner. The concept is an Asian Smokehouse and Bar with a focus on smoked meats and sides that combines Texan and Asian influences. 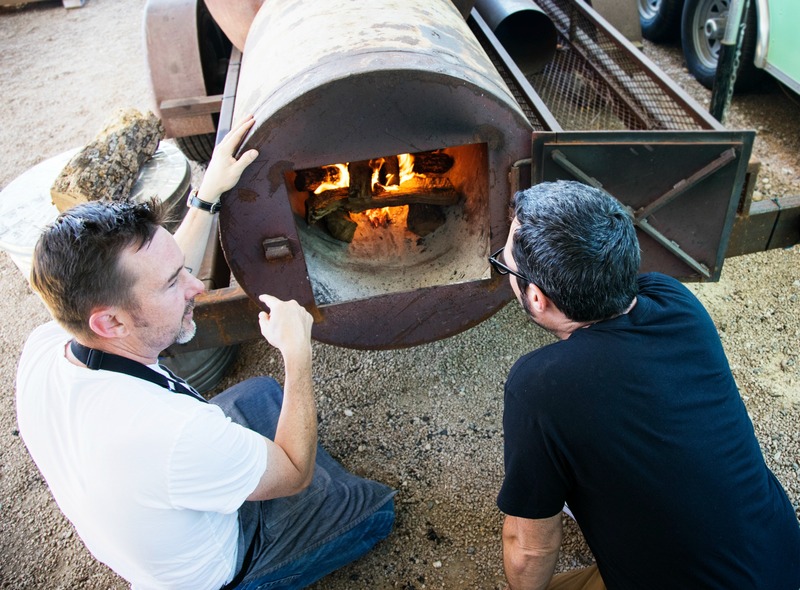 The Loro culinary team has already been testing their menu so Franklin is eager to join Chef Tyson Cole in the kitchen (and at the smoker) to start menu testing and creating, they report. Hai Hospitality, via the original concept Uchi and Chef Cole, has garnered numerous accolades including awards from the James Beard Foundation and Food & Wine, among others. Cole and the Hai Hospitality team have envisioned this concept for a while, wanting to incorporate flavors from the east with inspiration drawn from Texas traditions. Franklin, who won a James Beard Foundation Award as well as nods from Food & Wine and Bon Appetit to name a few, is excited about digging in and collaborating with the Chef Cole and the Loro team. Loro will be located at 2115 South Austin Blvd., Austin TX 78704. 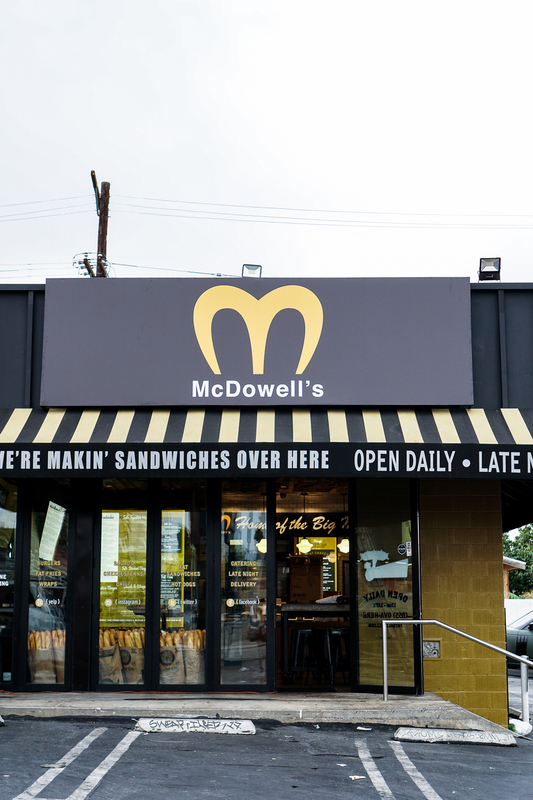 The brand has locations in Hollywood, Westwood, San Diego, Austin, and recently opened in Encino. 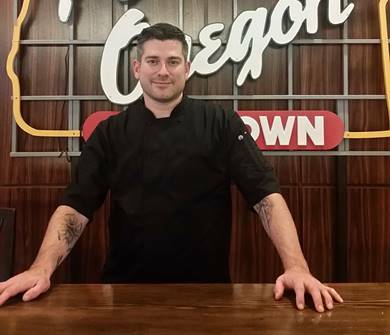 The Original Dinerant welcomes Executive Chef Roscoe Roberson to the downtown Portland social supper club. Roberson brings nearly 15 years of hospitality experience from distinguished restaurants, most recently serving as Executive Chef of Chefstable Group, based in Portland. Born in Tucson and raised in New York, Roberson learned to cook from his grandparents. Finding himself in the kitchen in one way or another as he grew older, he transformed part-time jobs into a career. After deciding to attend culinary school in his hometown at Pima Community College, he trained as a chef with Starwood-Westin where he ran banquets for large groups. He later relocated to Bend, OR to operate Kokanee Café and then headed north to explore the burgeoning food city of Portland. Roscoe now calls The Original Dinerant his home and looks forward to maintaining a creative menu while establishing American diner food as an essential part of Portland’s culture. With experience in managing staff and back-of-house operations, he most recently opened and operated six new concept restaurants with Chefstable Group. FAT (Fresh. Authentic. Tasty.) Brands Inc. completed the acquisition of Homestyle Dining LLC, the parent company to the Ponderosa Steakhouse and Bonanza Steakhouse brands for $10.5 million. 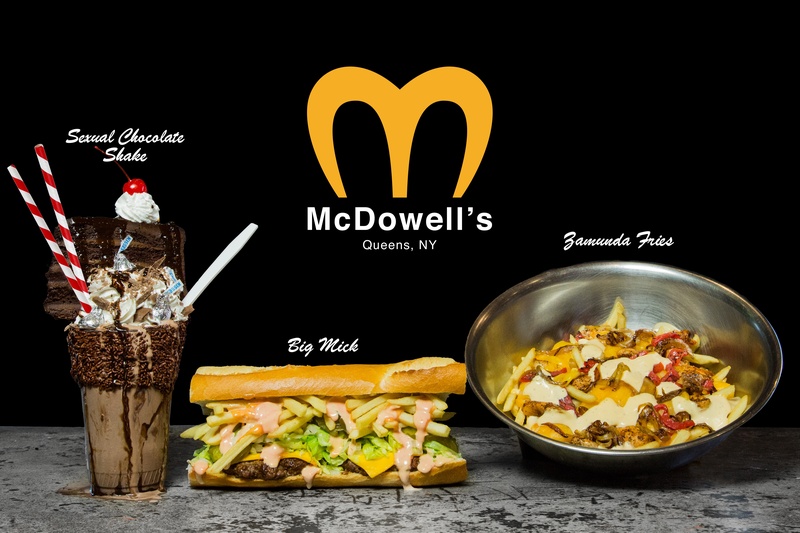 With the acquisition of Ponderosa and Bonanza, FAT Brands’ franchisees now operate more than 300 restaurants around the globe with system-wide sales exceeding $300 million. Established in 1965 and 1963 respectively, Ponderosa and Bonanza offer the quintessential American steakhouse experience with a diverse menu featuring delicious flame-grilled steaks and mouthwatering entrees. The two brands operate more than 120 locations across the U.S., Canada, Puerto Rico, the United Arab Emirates, Qatar and Taiwan. The Company plans to develop a smaller-scale Ponderosa and Bonanza concept to drive new store growth, specifically internationally, where demand for traditional American fare continues to grow.